Maintained with an open checkbook, all service up to date. Shiny gelcoat, upholstery soft and supple. Instruments and controls are bright and crisp. Engines start up instantly and sound good, especially when the through-hull exhaust is activated. The cooling system is flushed and the hull is rinsed after every ride. 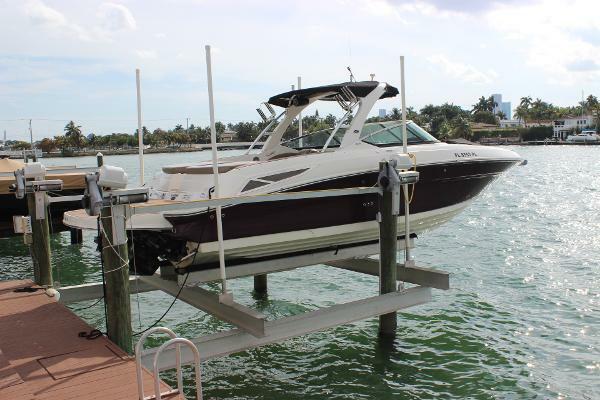 Stock #163702 Lovely Sea Ray 300 professionally maintained and kept in tip top condition - she is the perfect family bowrider! 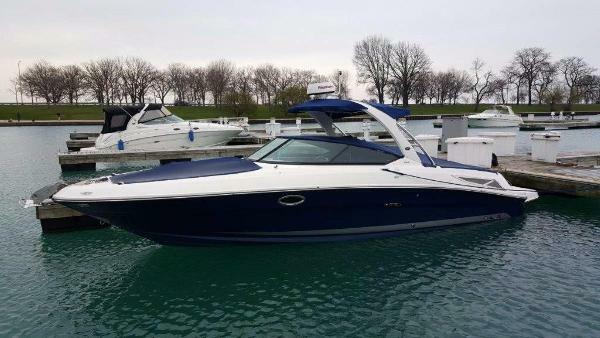 If you are in the market for a bowrider, look no further than this 2009 Sea Ray 300 SLX, just reduced to $65,000 (offers encouraged). 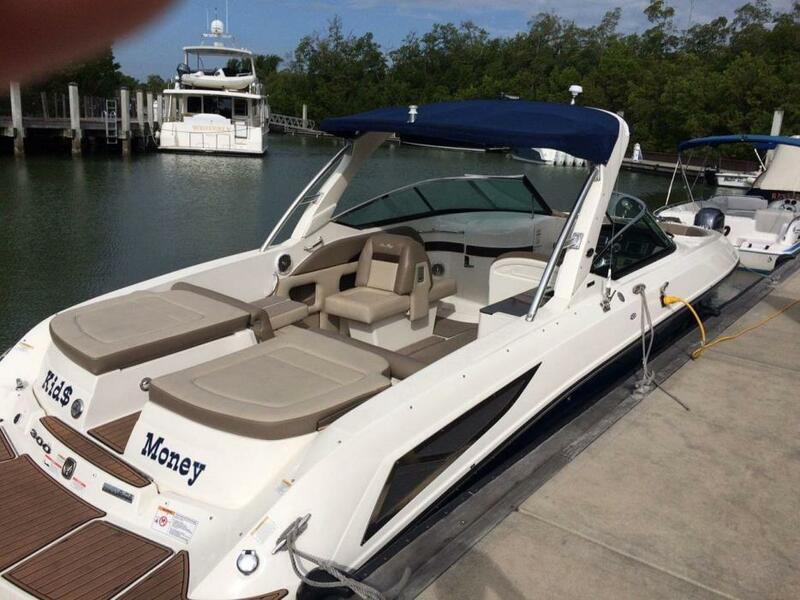 This boat is located in North Miami, Florida and is in great condition. She is also equipped with twin Mercruiser engines that have 650 hours. Reason for selling is no time to use. 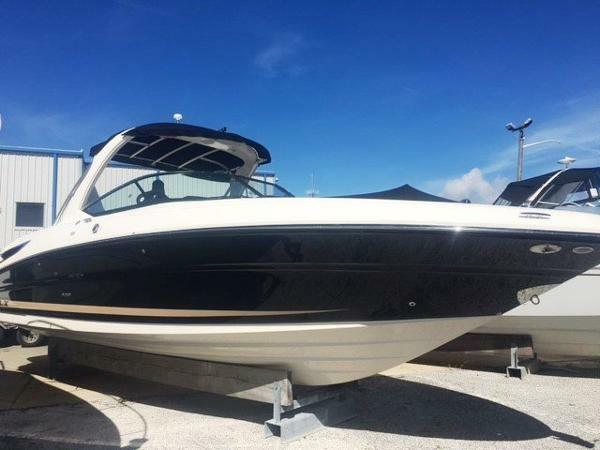 2013 sea-ray 300 SLX, Options: Two Tone Gel Coat Graphics, Interior - Mocha, Indirect Cockpit Lighting, Blue LED, Dual Helm Seat- Port B-B Seat & Sun Pad, Premier Stereo Upgrade, Cockpit Refrigerator, Shore Powder Package w- Converter & Cord, Macerator w-Seacock Interlock system, Windlass, Rope-Chain, Thru Hull Underwater Lighting, VHF Radio w- Antenna, Garmin GPS Map 640 - Chartplotter, Spotlight, 5" Remote-Controlled, Faux Teak Aft Deck w-Sunpad Option - Brown Canvas Package, Aft, Front side Curtains, Canvas Storage Bag, Cockpit-Tonneau Cover, Canadian leaving for home and wants to sell boat! Come and see this beauty! 2010 Sea Ray 300 SLX The flagship of our Select EX series is a progressive runabout offering the best in executive-class comfort. Twin engines Mercruiser 350 MAG MPI propels this gorgeous, able-bodied boat through big water while surrounding you in unmatched elegance. 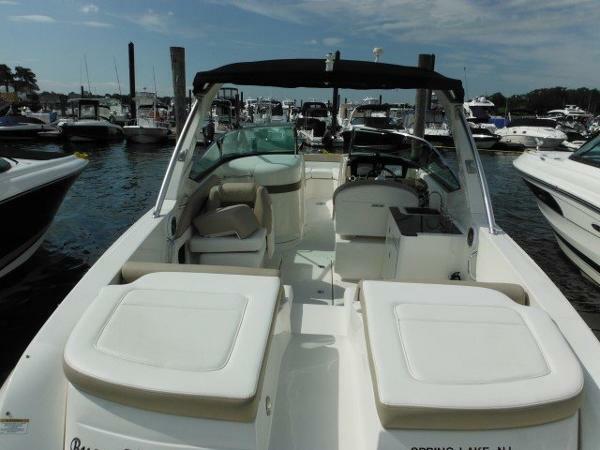 This 2010 has 295 hours with AXIUS joystick controls, Windlass, Upgraded Stereo, Vessel, View, and GPS are just a few of the options this boat is loaded with. Dealer owned trade, will consider trades. Call for an appointment to see. 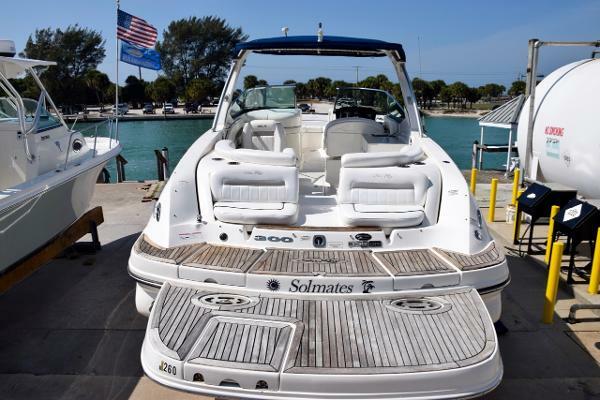 2013 Sea Ray 300 SLX Not only is our 300 SLX one of the largest bowriders on the market, it's also one of the most attractive thanks to standards and options like two-tone vinyl, teak decking and twin sterndrives with Axius joystick maneuvering.Key Features12V Sony® AM/FM/CD stereo with digital display remote and iPod connector.Transom seating or sun pad configurations.Axius Drive systems now available.Engine hatch with electric lifting system.Fiberglass sport spoiler.Garmin GPSMap 640 chartplotter is standardIntegral swim platform with concealed stainless-steel swim ladder and optional extended swim platform.Limited Lifetime Structural Warranty on hull and deck.Lockable enclosed head area with molded fiberglass liner and storage cabinetOptional twin engine upgradeMercury Installation Quality Certification standard 2-year limited engine warranty.SmartCraft® Diagnostics System standard.SmartCraft® VesselView Display available with twin gasoline engine applications.A fully enclosed head with VacuFlush® toilet as well as a vanity with sink, faucet and pullout shower sprayer. 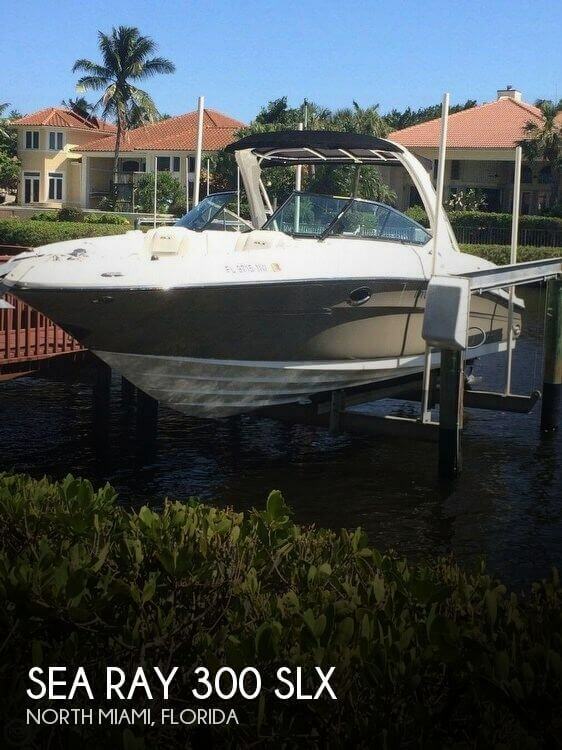 2012 Sea Ray 300 SLX 2012 Sea Ray 300SLX One owner, fresh water 300SLX. Loaded with options!! Beautiful Teak on the swim platform. Ready for its next owner!! Call today for more information and details! 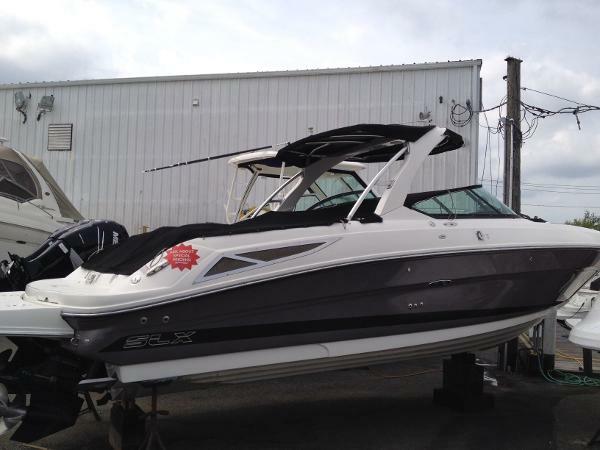 2014 Sea Ray 300 SLX Immaculate and ready to cruise with family and friends! 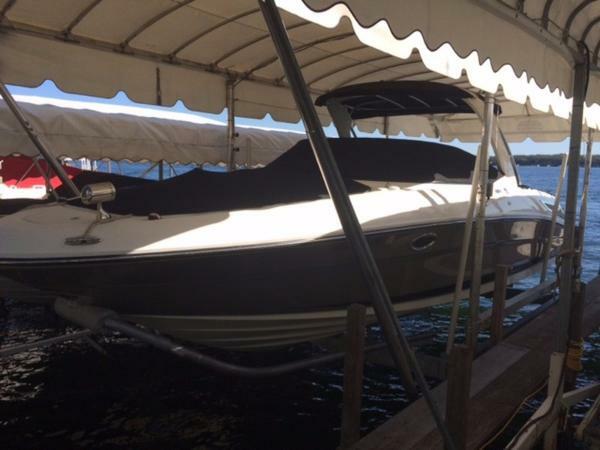 This 300 SLX Sea Ray is extremely well taken care of, well equipped and needs to be on the top of your list of "must see boats." Powered by Twin Mercruiser 350 Mags with Axius Joystick control, sky hook and autopilot. 120 hours. 100 hour services on the motors has been performed. Owner has added fresh water flush's kits for the motors. As well as an extended bimini top that is easily taken on or off the boat. Options include upgraded tan/cognac interior, dual helm sets, wet bar with sink and refrigerator, docking lights, thru hull underwater lights, blue indirect cockpit lighting, premier stereo upgrade, shore power package with charger, Raymarine chart plotter, vacuflush head with pump out and overboard discharge, extended swim platform, windless anchor, stainless steel anchor, seadek cockpit and swim platform, cockpit and bow cover, extended bimini top, storage cover for swim platform. This 300 SLX is easily seen. 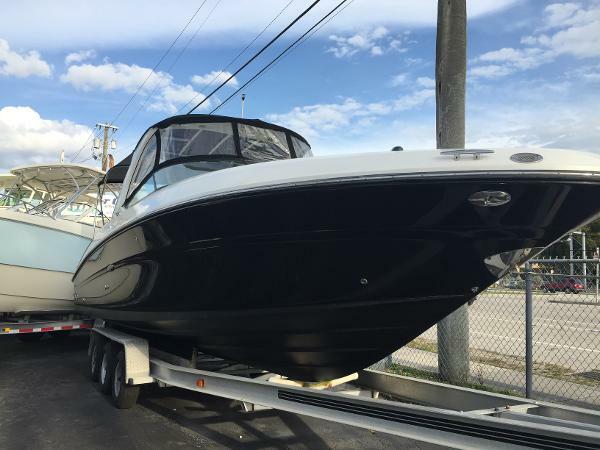 Call Brian Kemmis at our Marine Max Fort Myers location for your viewing appointment. 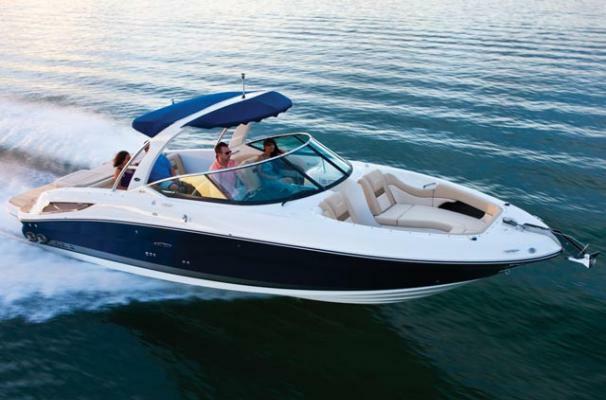 Financing is available thru our Marine Max Fort Myers Business Office. 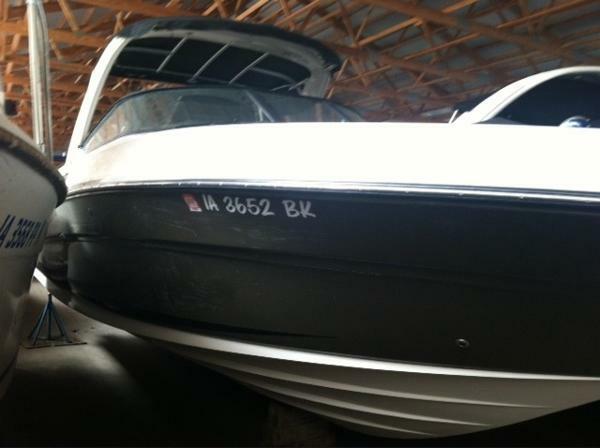 2009 Sea Ray 300SLX 2009 Sea Ray 300SLX Check this Boat out! 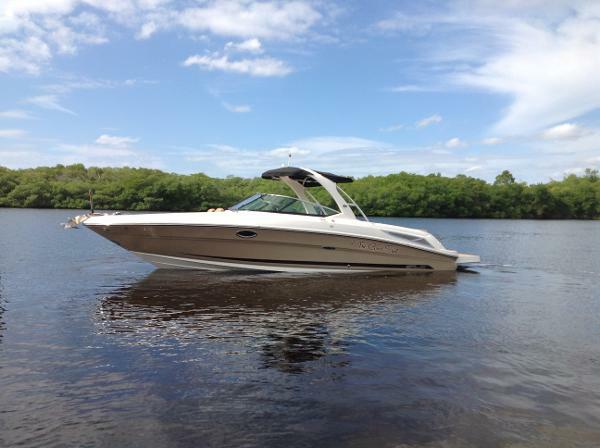 This is a well equipped 2009 Sea Ray 300SLX, the flagship of the Sea Ray lineup. Loaded with all the right options and low hours. Professionally maintained yearly and kept out of the water on a hoist. Call for more details today! 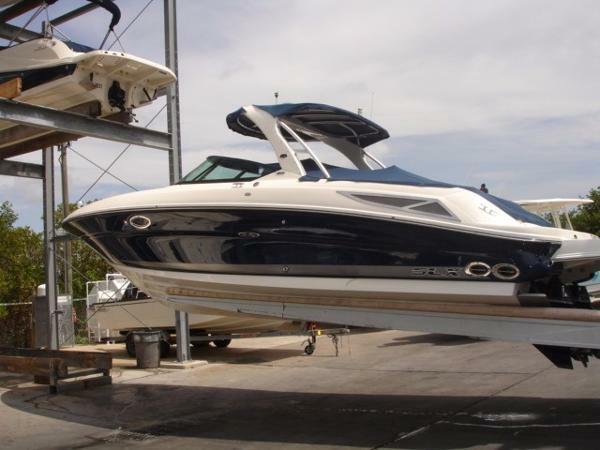 2008 Sea Ray 300 SLX Series PRICE TO MOVE!!!! CLEANEST, LOWEST PRICED ON THE INTERNET!!! We have to make room for our 2017 models and need to move our trades off the lot. Stop by, no reasonable offers refused. Our mechanics have tested the boat and our cleaners have this boat ready for you to enjoy. This boat is beautiful, a real head-turner. You will not be disappointed you came to see her. End of summer blow out! SLX is the Premium Series (We also have a 340 Sundancer for sale) Email us for the ad link. 2011 Sea Ray 300 SLX The flagship of our SLX series is a progressive runabout offering the best in executive-class comfort. Optional twin engines up to 600 horsepower (combined) propel this gorgeous, able-bodied boat through big water while surrounding you in unmatched elegance.